Feature: Stop Me If You Think You've Heard This One Before. Ahead of the release of his 10th solo album, I look back at one of the masters of music. Many admire and respect the man behind the songs, yet few are taking his influence on board. "And if the day came when I felt a Natural emotion I'd get such a shock I'd probably jump In the ocean". When the smouldering pyre of The Smiths had dissipated, Morrissey was roaming solo. Rather than wallow of take a break, he was soon back recording. Eight months after the disablement of the band, Viva Hate was released. Stephen Street took on compositional duties, and between the duo a mini-masterpiece was created. Those whom assumed Morrissey would struggled sans Marr, were surprised and assured when the L.P. came out in 1987. The wonderful prose of Everyday Is Like Sunday was inspired by the novel On The Beach, and tells of a grey and damp English town, awaiting a- much-needed- nuclear apocalypse. Songs like Angel, Angel Down We Go Together had elements of The Smiths darker moments (and Morrissey's most poignant words); whilst Margaret on a Guillotine focused on political tirade. The album showed a tremendous lyrical quality, and was accompanied by strong music. Although the music suffered from the lack of Marr's invention, it is Suedehead that remains my favourite Morrissey number. I love the vocal performance, the melody; lyrics, the music- everything. It is a perfect storm of queasy delight and jangling subtle orchestration. Kill Uncle perhaps demonstrated a backwards step for Morrissey, and it was not an album well-received. However, the following year (in 1992), my favourite Morrissey solo album was released: Your Arsenal. The Grammy-nominated album is a filler-free joyride, that sees Morrissey hit the strides of The Queen Is Dead/Strangeways' dynasty. The opening number, You're Gonna Need Someone on Your Side is Morrissey's heaviest number since the days of The Smiths, and is a hard-swinging message to someone with "the world's weight resting on (your) shoulder". Mozza came out of the blocks like a demonic greyhound, getting his messages across right from the first song. The National Front Disco looked at a central figure (David) and the National Front- a far-right nationalist organisation. The lyrics describe how the friends and relatives of David, watch him drift away into racist extremism. Rockabily and '70s Glam Rock were covered after the first few tracks, and it is an album that constantly surprises. The Ride A White Swan-influenced Certain People I Know swung with a kick and stomp, Morrissey having a ball with the lyrics: phonies and pretenders are given a sharp slap, and it is a delight to listen to. You're The One For Me, Fatty and We Hate It When Our Friends Become Successful are piled high with wit and humour: the latter concentrating on the cut-throat nature of the (then) Manchester music scene. To many, it is Your Arsenal's predecessor which shines brightest. Vauxhall and I is rife with mesmeric and sombre mood. It is a departure from previous albums and shows Morrissey in funereal mood: unsurprising given the events leading up to its release. Spring-Heeled Jim parodies English folklore and is interspersed with snippets from the 1959 documentary We Are the Lambeth Boys. Songs like The More You Ignore Me, The Closer You Get are obvious hits, and display wit and paranoia in equal measure. Many hate it, but I love Lifeguard Sleeping, Girl Drowning. The mostly whispered vocal performance is entrancing; the almost upbeat composition beautifully contrasts a bleak tale: a girl screaming; drowning; destined to die as a lifeguard sleeps, unaware. The album is a huge triumph and impressive given the tragedy and disruption present in Morrissey's life in the months leading up to its release. Southpaw Grammar and Maladjusted can be seen as mid-career stagnates, yet still contain some stonewall classics. Dagenham Dave and Reader Meet Author are two standouts from Southpaw Grammar: an album that saw Morrissey experiment more with song length and nature. Torch songs were more in evidence throughout 1997's Maladjusted. Although critics were lukewarm, songs such as Alma Matters and Trouble Loves Me can be ranked amongst the best from Vauxhall and I. Business as normal on You Are The Quarry? Hell yeah! To be fair Morrissey never dropped a step, but a seven-year respite between albums had seen our hero re-gather and relaunch. The L.P. is a treasure chest of personal tracks including one of his finest 'recent' efforts, Irish Blood, English Heart. 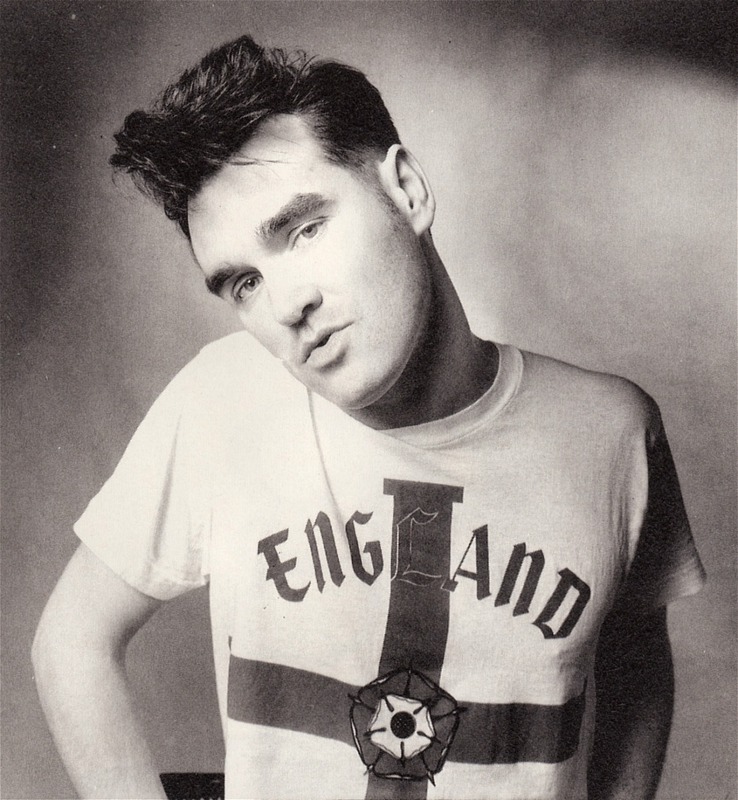 It sees Morrissey reconcile the explain the themes of contention and the relationship between Ireland and England. The song is packed with biting and political lines, including: "And spit upon the name Oliver Cromwell/And denounce this royal line that still salutes him. And will salute him, forever". First of the Gang to Die focuses on Hector, "With a gun in his hand/And the first to do time/The first of the gang to die". Poetic and stark images that spoke of: "You have never been in love/Until you've seen the stars/Reflect in the reservoirs" made the song such a triumph, and was one of the strongest tracks from the album. With Ringleader of the Tormentors, Morrissey incorporated influences of guitarist Jesse Tobias. The L.P. has a heavier, rock-driven sound and opened with a bang. Vocal gymnastics and an incredible composition augmented I Will See You in Far-off Places; Italian influence and lines about prostitution in the streets of Rome ("Pasolini is me/Accattone you'll be") are to be found in lead-off single, You Have Killed Me. The album sees Morrissey in fine voice and matching the often pulverizing and intense musical backdrop. Perhaps the wit-o-meter was ranging between 5-6 (not up to his usual highs), but songs such as Dear God Please Help Me and At Last I Am Born are gems. Our hero- at this time- was apparently happily in love whilst living in Rome, and a lot of the album's tracks reflect this. Three years later, 2009's Years of Refusal signalled an about-face. Writing duties were split between long-term collaborators Baz Boorer and Alain Whyte; as well as newcomer Jesse Tobias. Alan Whyte was off guitar duties, and the band lineup rotated. Like Queens of the Stone Age the only constant is the frontman: musicians had come and gone, and new ones taken their place. This transition and re-staffing did not hamper the quality of the album- far from it. Pitchfork Media reviewed it thus: "Years of Refusal comes as a gratifying shock: It's his most vital, entertaining, and savage record since 1994's Vauxhall and I. Rather than try to reinvent himself, Morrissey has rediscovered himself, finding new potency in his familiar arsenal. 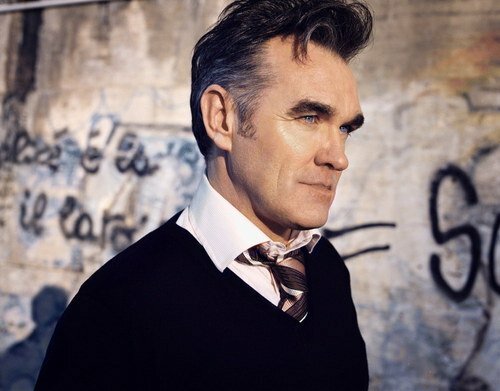 Morrissey's rejuvenation is most obvious in the renewed strength of his vocals". The staggering voice and unique turn of phrase were all up to their peak; the swing and drive of albums such as Your Arsenal were back: Morrissey mixes muscular rock and depression with outward venom and solitary wandering. I'm Throwing My Arms Around Paris and Something Is Squeezing My Skull highlighted how Morrissey's voice was as emphatic as it has ever been, with I'm Throwing' offering up insights such as "Only stone and steel accept my love". The compositions were consistitenly brilliant and mobile; filled with delight. That's How People Grow Up is one of the finest cuts, and contains a fantastic melody and composition. Morrissey tells how he was wasting his time looking for love: "Praying for love/For a love that never comes/From someone who does not exist". You Were Good In Your Time displays is a poignant and thought-provoking song, where our hero offers up lines like: "You made me feel not quite so deformed, uninformed and hunchbacked". In the ensuing years between Years of Refusal and now- autobiography-writing aside- Morrissey has been touring and dealing with illness. With a new album due in a few months, it seems that whatever is contained within will be a wonder to behold. Track Review: Ninetails- Radiant Hex.